Thomas Briels | Join the camp and improve your skills! TRAIN WITH THE CAPTAIN OF THE RED LIONS AND WORLD CHAMPION! The exclusive Thomas Briels Talent camp is created for young hockey players who want to train with top talent Thomas Briels! This year we’ll organize an exclusive overnight hockey camp, perfect for players (and goalies) who are ready improve themselves. This camp combines one of the best players in Belgium, with one of the best clubs in the Netherlands. What better way to kick of your summer holidays?! 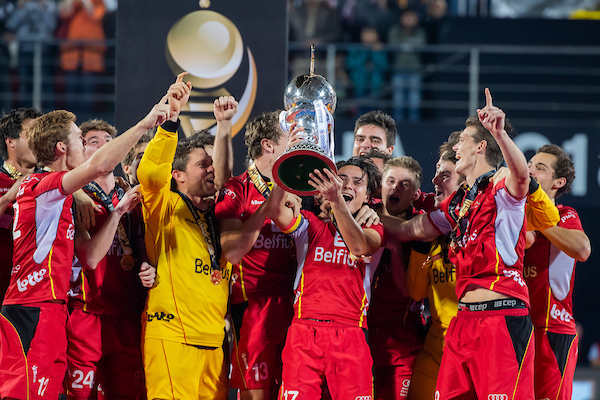 Thomas Briels is captain of the Red Lions (national team Belgium) and has played at the Olympic games as many as 3 times. He has a proven track record and scored several game-changing goals. As one of the best players in Belgium he now wants to teach you his skills. Together with SportWays Hockey Camps, Thomas created a challenging hockey program. The Thomas Briels Talent Camp is all about hockey, with 2 hockey clinics a day. SportWays Hockey Camps are renowned (and loved) for the high quality training sessions and exquisite programs. In the evening the social staff will take over, for an amazing fun program. You can sign-up now for the best week of your life. Don’t miss out and train with this triple Olympic player! Including overnight stay, food & beverage, drinking bottle and camp T-shirt. We will visit the Pro League Finals in the Wagener Stadium! A new page will open (sportways.com) in order to sign-up for the Thomas Briels Talent Camp.